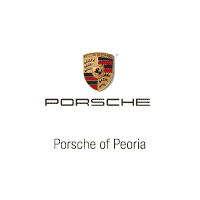 I highly recommend David Slyman at Porsche of Peoria to help you buy your next car. David Slyman is the most knowledgeable person around regarding Porsche cars. Highly recommend! I bought a 718 Cayman from David and couldn't have asked for a better experience. I called in and spoke with Lucas asking if the car was still available and if I could test drive it, but I told him I had about 30 minutes. They had the car pulled up front and the test drive tag ready to go. Awesome! Then I came back the next evening and Lucas, David and Matthew stayed late to do paperwork with me knowing I am very busy with work and work long hours. The team there ROCKS! Ohhh and I love the car too. Found the car on-line. Transaction was handled very professionally by Tony and his managers. Communication during the sale was outstanding. I had a very pleasant experience servicing my 718 Cayman here. I worked with Ralph Gonzalez, who was very patient answering all my questions, and giving me a lot of tips as a first time Porsche owner.